At Precision Chiropractic and Massage, we frequently work with children and teenagers that participate in athletics. As kids approach junior high and high school age, they take on a much more fevered approach to athletics. These years are commonly filled with a drastic increase in the intensity and frequency of athletic participation. Some parents bring their children to the office because they are complaining of neck and back pain. Others connect with our office because they feel it is best for their child’s health to have their spine assessed. Finally, some utilize chiropractic and massage to help their child overcome a recent injury. Teenagers focused on athletics have many challenges to overcome. The early teenage years are a time in which the human body is changing rapidly. Girls and boys are experiencing tremendous growth in their bones and changes in their muscle tone. Combine these changes with large increases in physical exertion and the body can pay the price. Given the changes to the body and the increased levels of activity, I strongly suggest parents get their child’s spine assessed. At Precision Chiropractic, we focus on detecting structural shifts in the spine and skeleton. A structural shift refers to a bone that has moved out of its proper alignment. A small shift in the alignment of a vertebrae can result in significant symptoms. Structural shifts can result in a number of secondary conditions such as nerve pain, reduced range of motion, stiffness, increased muscle tension and loss of sensation. Many parents report frequent physical traumas associated with athletics. Their children may suffer falls or physical blows during athletics that result in pain or other symptoms. Sometimes symptoms will resolve after these traumas. However, the resolution of symptoms is not an indicator of a healthy spine. Often, shifts in structure can maintain after symptoms have resolved. Unfortunately, these changes in structure can cause more significant issues down the road. My focus is to assess the spine of these children to determine if structural shifts in their alignment have occurred. If changes in alignment have occurred, they are corrected using a gentle handheld instrument to adjust the spine. At Precision Chiropractic, we use the most state of the art equipment to deliver, specific spinal adjustments. Our instruments are designed with children’s bodies in mind. We never twist, crack or pop the spine in order to administer a correction. I also consult with parents and their children regarding the appropriate forms of exercise and weight lifting at a variety of ages. Unfortunately, I often hear of teenagers engaging in exercise routines and weight lifting that are much more intensive than what is appropriate for their age. 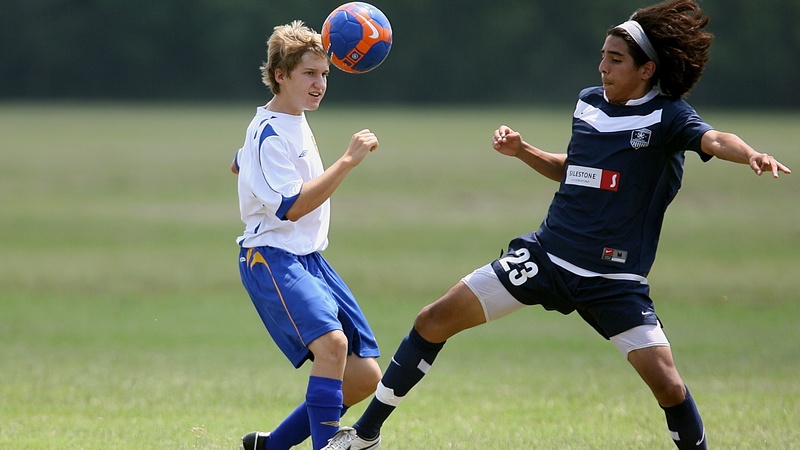 Teenagers can become faster, stronger and better athletes without damaging their body. I am happy to take the time to consult with them regarding what physical activities they should and should not be engaging in. If you have a child that is currently involved in athletes, do not hesitate to contact our office to schedule a complimentary consultation. A consultation is only a conversation and never a commitment. Ann Arbor Chiropractor, Dr. Ryan Burke uses state of the art equipment and analysis to deliver gentle and precise adjustments to correct structural shifts in patients' spines. A graduate of the University of Michigan and Life University, Dr. Burke has received advanced training in pre-natal and pediatric adjusting as well as clinical nutrition, functional lab testing and pediatric health disorders.